The veteran Canadian musician says his politics aren't in line with those of Proud Boys founder Gavin McInnes. 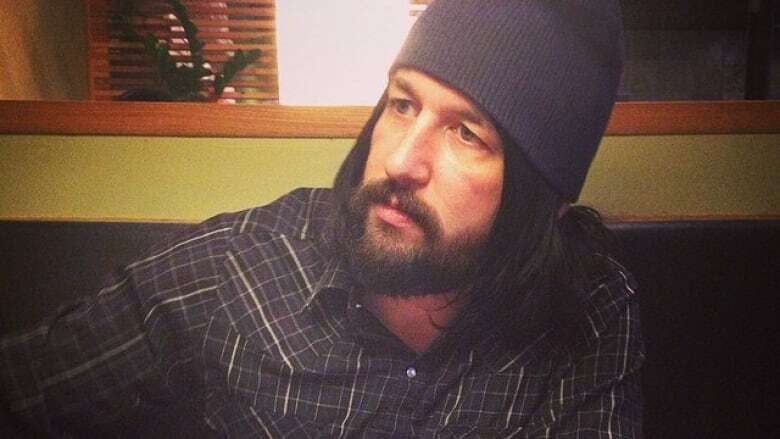 Jesse Keeler, half of the legendary Canadian punk outfit Death From Above 1979, is trying to clear the air after accusations of ties to high-profile white nationalists. The allegations have been swirling since Keeler was photographed with Gavin McInnes, the Canadian co-founder of Vice Media and founder of the Proud Boys, an extreme right-wing men's organization known for anti-Islamic, anti-immigrant and sexist views, on the night of last year's U.S. presidential election. This week, an article published on Medium questioned why, in interviews about the band's latest album, journalists were failing to question Keeler about the alleged ties. "Jesse F. Keeler is a regular guest on The Gavin McInnes Podcast, the breeding ground and recruitment podcast of The Proud Boys themselves," reads the article. "He is on there not to argue with Gavin, but to talk about common interests like pro-gun issues and crypto anti-immigrant subjects like 'How England is losing its identity.'" The article, which has been updated since Keeler responded to the allegations, includes a photo of Keeler with members of the Proud Boys, as well as a screenshot of a Proud Boys website article that claimed Keeler as a member. Late Thursday, Keeler released a statement denying the ties, and claiming that his relationship with McInnes was never political. "After leaving Vice, Gavin had been doing stand-up comedy, making movies and writing books, all seemingly a continuation of the reckless comedy style he had implemented in the magazine," he continues. "Over time, I watched many people distance themselves from Gavin both professionally and personally. I always perceived that as people just thinking he was 'a little much.' In short, I gave him the benefit of the doubt." Keeler goes on to explain that he agreed to be a guest on McGinnes's video podcast and talk show, and to join him on election night, but that it was only around that time that he began to take note of McInnes's increasingly extreme views, which he insists he does not share. "I have always been anti-war and anti-violence. That is my baseline position. As far as immigration and nationalism: I am the child of an Indian mother and a Canadian father. I was raised in Canada by my immigrant-Indian family who struggled to make it in a new country. I watched my highly educated Indian grandfather deliver the newspaper his whole life, instead of working in his proper field. My skin tone may not tell this story, but it's a fact," he writes. "So here I am, again caught between two things. Reality and fiction. The reality is that I am not 'alt-right,' nor a white supremacist. The facts are I am a mixed-race father of two and a musician. I am so sorry for putting my family, friends and fans in this position. I never wanted to talk about politics, I just wanted to make music and leave that stuff alone. Unfortunately, my actions have brought me here, and I am deeply heartbroken about it," he continues. "To a fault it seems that I give people the benefit of the doubt, and I hope that you will give me the same in return." Responses have been mixed on the band's Facebook page, with some fans expressing their support and appreciation for the statement, while others say it came too late and doesn't go far enough in denouncing McInnes and the Proud Boys. You can read Keeler's statement in full here.